Retaining customers is less expensive than acquiring new ones, and customer experience management is the most cost-effective way to drive customer satisfaction. Loyal customers ensure sales, reduce costs associated with consumer education, and recommend you to their friends. There is a contractual arrangement with your company. All these reasons mean that as soon as a desirable competitor comes around, they may switch to them easily. On the contrary, loyal customers believe that your products and services are superior to those of the competition. They do not seek for alternatives, even when they have options. 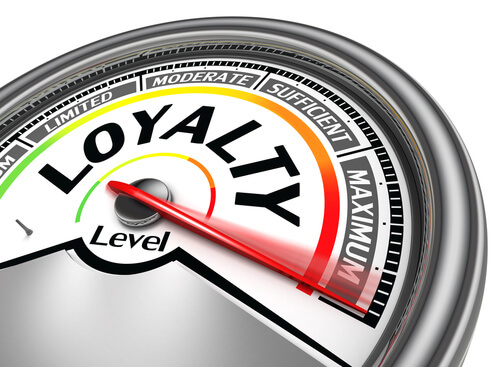 Customer loyalty does not mean, that customers are loyal to your company alone. In the real world, customers are more often loyal to several companies, when it is possible. That means that they may tend to purchase brand A 60 percent of the time, brand B 30 percent, and brand C 10 percent of the time. They are loyal to these brands, but not to others, and yet 100% loyal to none. In this case the objective of companies is to make customers as loyal as possible, to maximize customer share of wallet. Loyal customers may represent no more than 20 percent of your customer base, but make up more that 50 percent of your sales. You need to be communicating with these customers on a regular basis. These people are the ones who can and should influence your marketing decisions. Nothing will make a loyal customer feel better than soliciting their input and showing them how much you value it. Still you need to consider the fact, that not all regular customers are loyal to your company (see the reasons above). You need to be able to classify your customers and identify the loyal ones correctly if you plan to make marketing decisions based on their interests.